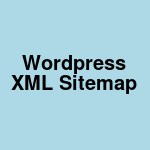 It is important to maintain healthy xml sitemap for your site. In case you are using Yoast SEO plugin to generate xml sitemap for a wordpress site, it provides some hooks to override priority and change frequency of various urls. Here is wordpress code snippet to customize xml sitemap generated by Yoast seo plugin. $contextobj contains either $post or $tag object. The default priority and frequency should work in most cases. You should customize these only if you know what you are doing. Max priority value can be 1.0 and these values are only relative for all urls on your site. For more information you may want to see file class-sitemaps.php in your plugin directory.